I wasn't going to blog today, but I couldn't let this story go unreported. I report every monumental career moment of these celebs, but the awards and accalamations are not what will matter in the end really are they? It's the stuff that they do off the camera that defines who they really are. The stuff they do when it's no longer entertainment..when it's just being a human being. It's become very evident over the years that Rihanna shares a very special bond with her fans. She truly cares about them, their lives, their struggles and they in return show the most solid support for her career in any way possible. This was never more evident than it was this past weekend when Rihanna took to her twitter account to solicit support for the family members of one of their "fallen soldiers". 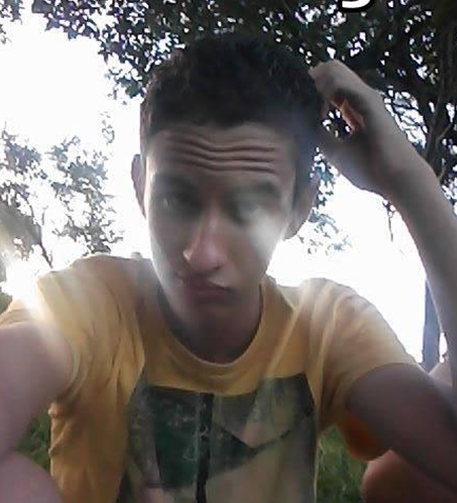 A die hard Rihanna Navy member, Thiago Valenca was brutally murdered in Brazil last Saturday. Thiago, his mother, and little brother were all murdered at the hands of his stepfather. Naturally, her fans began to share condolences and encouragement via their pages, joining together in solidarity to send love and support at an extremely tough time for Thiago's family. We've seen this happen many times before with the Navy. Rihanna also shared photos of Thiago's family members posing with his Rihanna collection on her IG page. He was truly a die hard fan. Shortly after, she changed her header on twitter to a photograph of him in tribute. This would probably be as far as most celebrities would go considering how much people are always looking for handouts, but not Rihanna. Not the one who flies fans across the globe, or demands security to chase them down after they've already left her shows because she wants to meet them, or who asks other Navy members to help when they're traveling into cities and are stranded, or who offers encouraging paragraphs on IG when a loved one has passed... not Rihanna. According to an interview, Thiago's father says that he was more than moved by the love Rihanna showed via her social media accounts, but never expected to be contacted by her team to help financially. 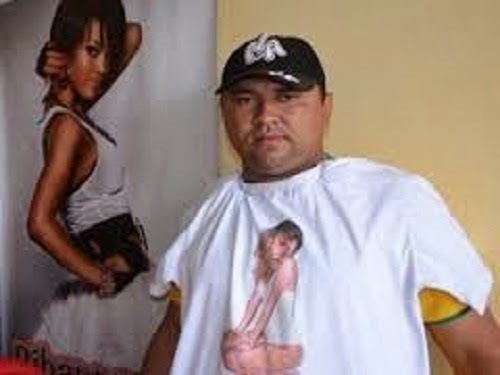 Thiago's father Eronilton declined Rihanna's offer to help financially and only asked that she paid tribute to him. He said he was sure that where ever Thiago was in heaven, he was going to see the love shown from his favorite celebrity. According to Eronilton, Thiago kept a savings to go to Rihanna's concerts, buy her cd's and DVDs. Rihanna urged Eronilton to accept her donation, and is still reportedly in touch with the family. When people seek to understand her success, they should first examine how she connects with her fans- it's unheard of. This type of care for them begets their support and love for her. That devotion is at the root of her success..even though words from people closest to her lead me to believe that she doesn't do these things for their support. It's just who Robyn is. This truly touched me and so many other people that this young boy's idol would come through to encourage and uplift his family at this time. If you can read Spanish, you should be able to read most of this (it's Portuguese) ..check out the full story here. God bless Rihanna and her Navy. Even if you aren't a fan, it's truly obvious that she stays on top & I prefer to believe it's not because of some conspiracy, but because her heart is good. RIL to Thiago, his mom, and little brother. My prayers go up for his family and friends at this time. Thank you so much for posting this. Prayer for the family. Also, the words you spoke about Rihanna, I have known since I started following her. She is a rare Gem and so authentic to herself. You also do a GREAT job and I enjoy reading your blog, bc you have standards that I believe in. SO THANKS TO YOU ALSO. This why I love her so much. People can say what they want but she is such a genuine person. You can really tell. God bless this boy's family. Kay, do you know that she confirmed that it was true that she did offer? Somebody dm'd her and she simply said yes. I saw it on my timeline. May the almighty God continue to bless this young lady. Kiki I wish you could send this story to other blogs, cuz all they write about is negativity. Thank you very much Kiki, may God bless you.